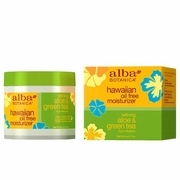 Alba Botanica Hawaiian Skin Care Aloe & Green Tea Oil-Free Moisturizer 3 fl. oz. 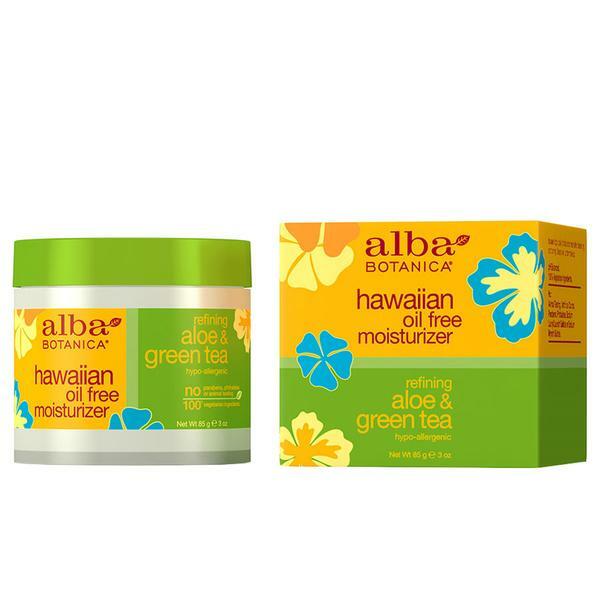 Home > Natural / Organic Products > Natural / Organic, Hair, Skin Care Products > Alba Botanica Skin Care Products > Alba Botanica Hawaiian Skin Care Aloe & Green Tea Oil-Free Moisturizer 3 fl. oz. well under make-up. Avoid contact with eyes. Contains certified organic ingredients and no artificial colors. dehydration for a soft, healthy, luminous complexion.